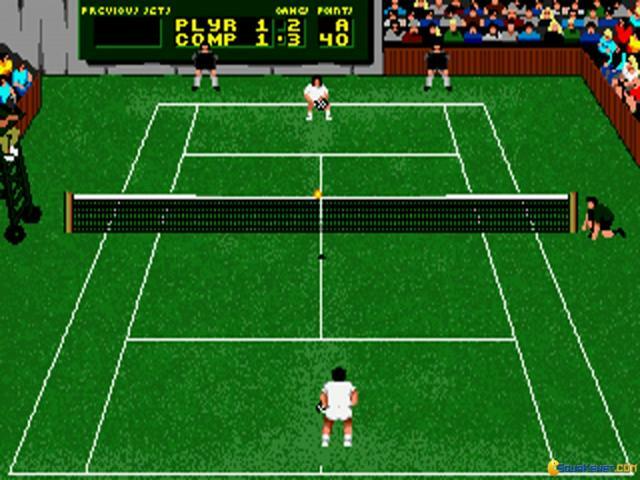 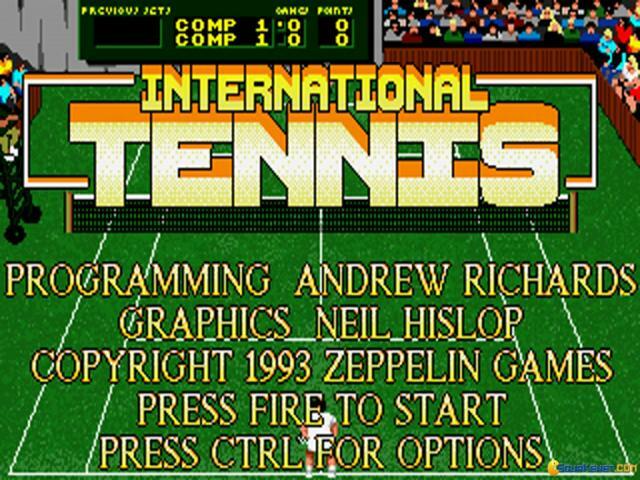 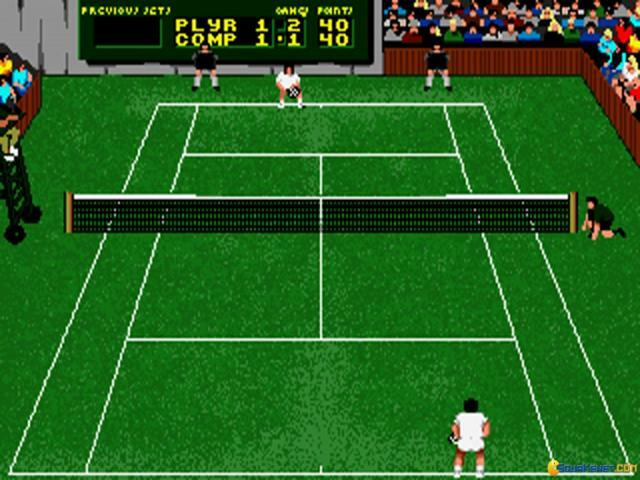 International Tennis is a cool well done old tennis sim game, which offers you a great deal of simulation details, given its size, and the way it looks. For instance the bounce of the ball is defined also by the type of terrain you play on; play on grass and the ball will be less speedy, but play on the clay or the asphalt and you are going to have a more bouncy surface. Also, men and women competitions are included, with rules taken right from the real life competition; women will play 3 rounds and men will play 5. The game is very much a fun experience once you've learned the basics. 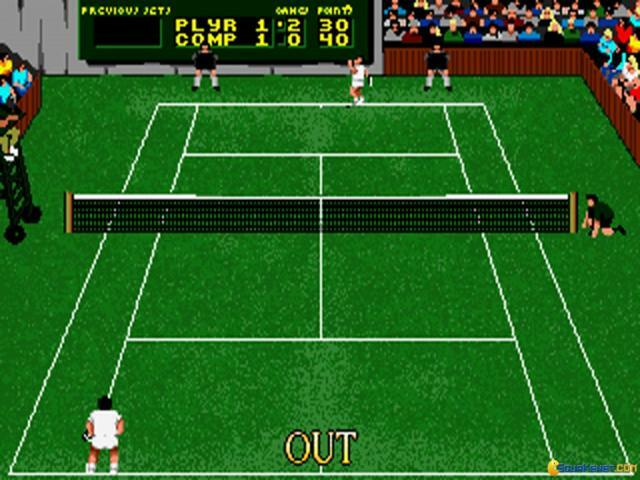 It's got great, responsive controls, and, basically, you will have to position your player, while also, having to choose the moment you hit the ball. Also, you can play in doubles, and this mode can also be played in non competitive multiplayer, while a 1vs1 multiplayer mode. 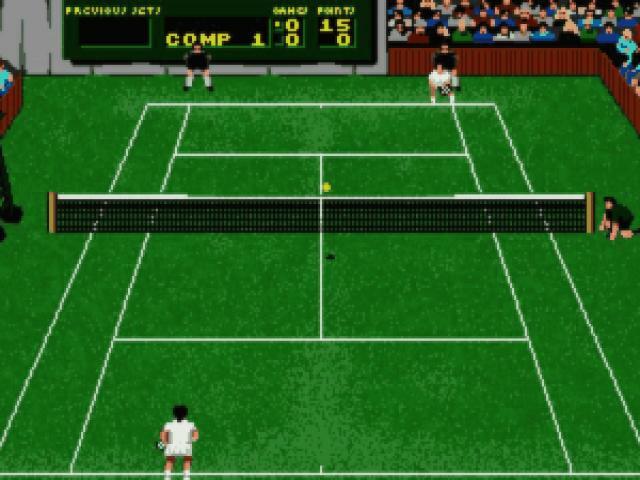 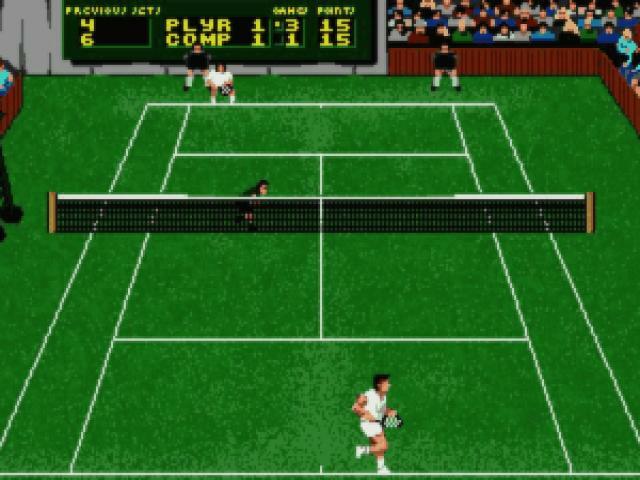 A (relatively) similarly retro, yet well done game is also Virtua Tennis, released in 2000 so much more endowed graphically, but with a similarly well produced build.